A Total Commitment To Continuous Education And Training. To grow the best, most respected, creative hairdressing company on the planet, where people love to work and clients love to be. 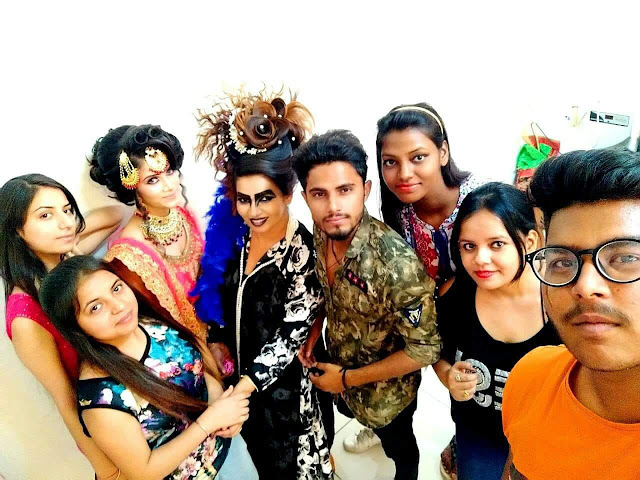 The continual aim of the Javed Ali Hair Academy is to encourage versatility and to assist hairdressers in developing an individual style through inspiration backed by sound knowledge. Courses are carefully designed to stimulate and progress hairdressers’ skills at every level and the content is constantly re-evaluated to ensure it remains relevant and cutting-edge. Our extensive range of courses is designed to cater to all levels of aspiring hairstylists from total beginners to experienced professionals who all seek to upgrade their skills and expand their minds. As leaders at the forefront of the hairdressing industry, Javed Ali Hair Academy inspire trends through the creation of our unique annual collections. Javed Ali Hair Academy is home to our award-winning international Artistic Team and here we are privileged to share our hairdressing expertise with inspirational and innovative ideas that project the global educational message of Javed Ali Hair Academy. Javed Ali Hair Academy was founded in 2009 and has grown from a single salon to a company comprising both salons and academies all over India. With over 10 years of experience in the hairdressing industry, the success of the company is based on our total commitment to continuous education and training. Our unique educational system is the backbone of Javed Ali Hair Academy and has been successfully developed into the comprehensive educational formula used in our academies worldwide. Javed Ali Hair Academy‘s philosophy has developed with the firm belief that in creating a hairstyle, each client should be treated as an individual. We believe in providing in-depth consultations to personalise hairstyles to suit clients’ hair types, facial features and lifestyles. We strive to treat all clients with total care, consideration and commitment with an emphasis on customer service and saloon teamwork. Javed Ali Hair Academy are fashion interpreters: our work is directional and sharing our inspirations with like-minded hairdressers enables us all to constantly progress. call 011-49842310/ +91 7210273633 to be connected with a career specialist. Contact now through our website and avail a special promotional offer on admission to Javed Ali Hair Academy. Template Created By Navneet Kaushal (www.hisar.men) Javed Ali Hair Academy (Copyright 2018-19) All Rights Reserved.